Do Medicare Supplements Have Networks? We get the question from our clients all the time, “Do Medicare supplement insurance plans have networks?” A rare few do, but most don’t. If you are asking this question, then it’s important to better understand how these insurance policies work. 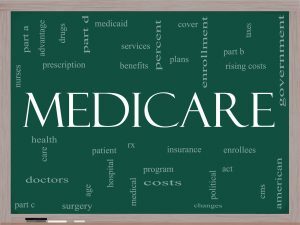 In this post we will discuss in detail what you can expect from your Medicare supplemental insurance plan. This will make it easier for you compare and buy a plan so you don’t encounter any unexpected bills or network restrictions in the future. The first and most important thing to know is that Medicare is usually your primary insurance once you enroll in Parts A & B. This means that your Medicare supplement insurance is secondary. You are simply pairing a supplement to your government-run Medicare insurance. Put another way, almost all supplements just piggy-back off of the network of doctors and hospitals that accept Medicare A & B. Most everyone accepts Medicare, so they will also except the supplement you choose. These Medigap policies (like Plan G, F and N) have no networks at all. Supplements start paying once Medicare stops – no matter the insurance company, Medicare is your network and almost all supplements just compliment Original Medicare. They do not create a secondary network of providers for you to worry about. In other words, your supplement does not determine who you can see – Medicare does. You get to see the same doctors and use the same hospitals with Humana, Aetna, United Healthcare or any of the smaller insurance companies you may not have heard of yet. Can I Choose Any Insurance Company? The short answer is, YES! Because Medicare is primary and your supplement is secondary, networks will not differ in any way between insurance companies. You have the same access to providers with almost all plans. When you got to see your doctor, you just present your Medicare and supplemental ID cards and they take care of the rest. In fact, most Medicare supplements coordinate through Medicare which means you don’t have to worry about the billing process whatsoever. It does not matter which Medicare supplement insurance company you choose. It can be a very large well-known company like United Healthcare – or it can be any number of smaller insurance companies you may not be familiar with. The networks are the same. If they accept Medicare, then they’ll accept your supplement. The billing will be the same and hassle-free. Our advice: Don’t narrow your Medicare supplement insurance options to only a few large companies. There are several smaller companies with very good reputations and below average rate increases. The smaller players are very much worth a look in our opinion! Many of the larger companies have thousands of policyholders. This usually results in several claims. Higher claims means larger premium increases. Smaller companies that are a little further from the main stream don’t usually have these same issues can can usually hold rates lower for a longer period of time. Do Any Medicare Supplements Have Networks? Select Plans will require you to stay in-network for routine care usually administered by your primary care physician. Emergencies will always be covered, however, and are not subject to any network restrictions. The advantage of Select Plans are the lower premiums they offer. If you find a traditional plan with no network restrictions at the same price as a Select Medicare supplement, the traditional plan might be a smarter purchase. There’s no point in narrowing your options unless it saves you significantly on your premiums. The final word on the matter: Almost all Medicare supplement plans have no network restrictions. Hyers and Associates is an independent Medicare supplement agency. We specialize in Medigap and Part D plans and work hard to make sure our clients understand the insurance they are purchasing. Contact us today to discuss your options, compare plans and enroll direct in the supplement that best fits your needs and budget.